Edindale Drive-up Cleaners offers quality dry cleaning services for everything from delicate sweaters, to formal attire, to comforters and bed spreads. Our Springdale location offers a drive-up service; pull-up, ring the bell, and we will come out to serve you. We offer same-day service between the hours of 9am and 2pm Monday through Thursday. 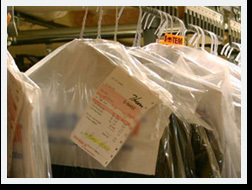 Our dry cleaners are experienced cleaners that focus on quality and perfection in every item that is cleaned. Edindale Drive-up Cleaners offers quality dry cleaning services for everything from delicate sweaters, to formal attire, to comforters and bed spreads. Our Springdale location offers a drive-up service; pull-up, wring the bell, and we will come out to serve you. We offer same-day service between the hours of 9am and 2pm Monday through Thursday. 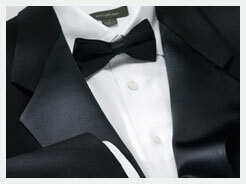 Our dry cleaners are experienced cleaners that focus on quality and perfection in every item that is cleaned. Laundry is our expertise. On that crazy day when you have a busy meeting and you’ve spilled coffee or wine on your best shirt, or your washing machine finally quit on the day you have been waiting to do the entire family’s laundry, we are here to help! We do all types of laundry and any size of load. We will wash, dry, fold, and hang your laundry for you.